Welcome to our Xanadu beach volleyball pickup games! At The Xanadu Life, our mission is to inspire you to get outside. 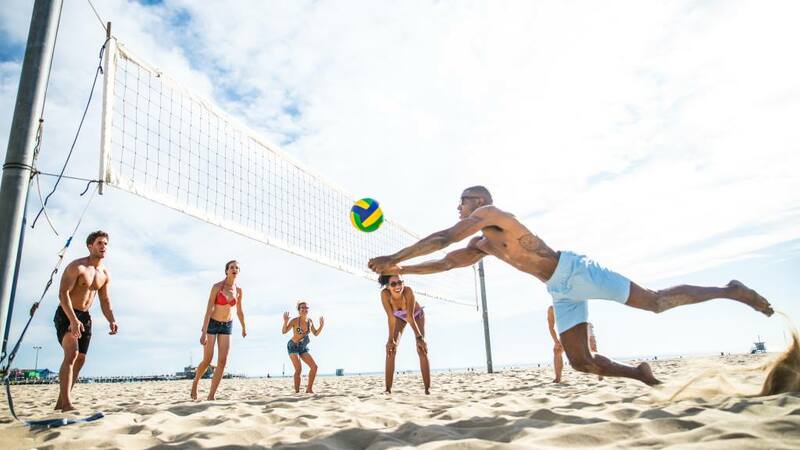 Dig your toes into the sand, breathe in the fresh ocean air, enjoy the gorgeous sunset, have your old friends meet new friends, all while perfecting your volleyball skills. We really can't think of a more perfect way to end our Tuesday in sunny Southern California. Join us for 6 months of weekly pick-up games this Spring through Summer. It's FREE, all you have to do is RSVP and meet us on the beach! If you are facing the ocean, we will be on the far right side of the Pier. Look for the Xanadu flag, X marks the spot. See you on the sand.